A character led psychological thriller that packs a real punch. Joe and Hannah Marsden’s fourteen year old daughter has disappeared. Lily hasn’t returned from school and although at first the police were sure she’d turn up soon we first meet Joe as he returns from giving a press conference to appeal for her to get in touch. Hannah didn’t attend, doesn’t want Joe near her and anyway we all know that the police watch the behaviour of those who are part of the televised appeals. Loretta is the Family Liaison Officer assigned to the Marsden family there to support them through the difficult time, but also to observe, and there is plenty of observations to make that’s for sure. Hannah is distraught, completely poleaxed by her grief whereas Joe secretly wants to escape the confines of the now claustrophobic house but he also wants to know what has happened to Lily. Our final narrator is Rosie Weatherall, a mysterious addition to the storyline, she is watching the news story of Lily’s disappearance unfold with horrified interest as it reminds her of the disappearance of her elder sister Alice. Rosie’s father has recently been released from prison, convicted of killing Alice fifteen years previously. After struggling to accept that her adored father, a widely respected classical musician could have ever committed such a crime, her mother finally convinced her that it was the case, the evidence was squarely against him. With secrets bursting to be set free, Her Deadly Secret makes for full-on compulsive reading ably assisted by our three brilliant narrators; Loretta, Joe and Rosie. All three are searching for the truth but that’s not easy when those in the know are masters of deception. A good psychological thriller has characters you can believe in, even when they may behave in strange ways due to the abnormal circumstances they are plunged into. I absolutely believed, although of course my suspicions were on high alert for criminal behaviour, that these were genuine people. Books in this sub-genre should also follow the unwritten rules of crime writing that the outcome can’t come out of left-field. It is even better when there are some red-herrings to keep the reader wondering. I’m pleased to state that all these conditions were met, and more. Even the minor characters, such as Lily’s own secret boyfriend was believable all the more so because many of these held conflicted beliefs which is always one of the biggest problems for a writer to convey without losing credibility for their creations. But we all can believe one thing, whilst suspecting another from time to time, people generally struggle with two conflicting views are presented to them. This is illustrated through one character in the book, who reports another to the police, and then soon apologises to the suspect, realising that what she thinks she saw, could have in fact been viewed in an alternative way. There are many more such examples which for me only had me all the more wrapped up in the family’s nightmare. 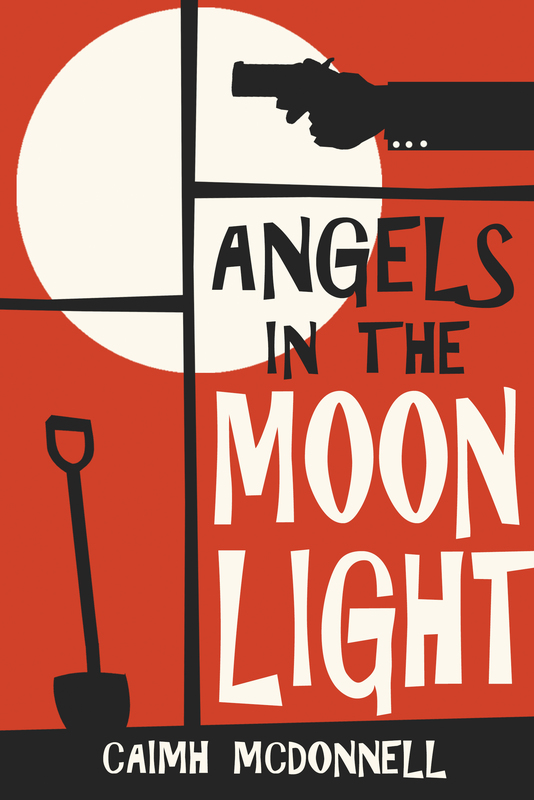 Added to that was the wonderful backdrop of Hastings, Loretta’s family life and a religious community called The Children of Light which all served to round this off as an immersive read. 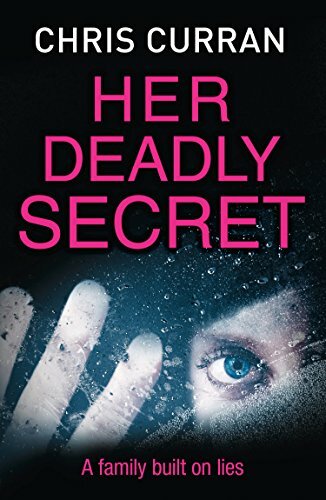 I’d like to thank the author and publishers HaperCollins UK for providing me with a copy of Her Deadly Secret, this honest review is my belated thanks to them for the book and the brilliant reading experience which examines the ripples caused for years when a child is murdered. 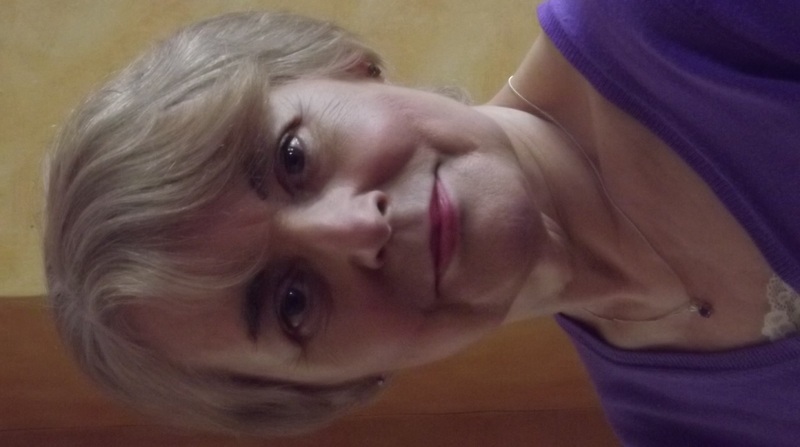 Back in July when Her Deadly Secret was published, the author kindly wrote a guest post for me on how she finds inspiration for her books which you can read here. If you like the sound of this book, it is currently at a bargain price in eBook format so I’d snap it up quickly while I will be adding the author’s previous two books, Mindsight and Her Turn to Cry to my wishlist. Chris kindly agreed to share some of her thoughts on crime fiction writing which I hope you will agree, make for fascinating reading. I’m often asked where I get my story ideas. And it’s something I also ask myself when I’m between novels! The most obvious answer is that they can come from anywhere. News reports or articles, conversations, overheard comments, an intriguing photo, an atmospheric place – anything can spark the thought: I could use this in a story. I write standalone crime and for me the starting point is always the main character. I ask myself: what is the most terrible thing that could happen to this person? This leads on to: what might make it even worse? In my first book, Mindsight, the main character, Clare, is a mother and losing a child is the nightmare of any parent. So that answers my first question. But for Clare the horror is intensified many times over because she believes she was responsible for her child’s death. In my second novel, Her Turn To Cry, the protagonist is a young girl who fears that her mother was murdered. And her nightmare is compounded when she begins to suspect that her own much-loved father was the killer. In my books I explore how a crime, particularly a murder, damages all of those involved. So my novels feature characters dealing with the aftermath of a crime they are intimately connected with and trying to find what really happened. They are not detectives and, as amateurs, they don’t solve the crime so much as blunder their way to the truth (and as I develop the story it sometimes feels as if I am blundering along with them!). My murderers are ordinary people who have committed the ultimate crime almost by accident and my protagonists often uncover things they would rather not know about those closest to them, or even about themselves. As I write I am discovering many of these details too. Memory is something else that fascinates me and it’s been an important element in all my books so far. In each of my novels the past comes back to haunt the characters and to threaten the lives they have tried to rebuild. In Mindsight the protagonist has partial amnesia and in the following books the major characters also have a dodgy recall of crucial events. They can’t trust their own recollections and readers are advised not to trust them either! This is particularly true of my latest novel, Her Deadly Secret, where two families have been built on lies from years before. There are times when I envy the authors of series. They already have some major elements in place, a ready-made set of characters and a regular setting. But I still prefer to write standalones because I like the freedom they give me to explore different times, locations and ways of life. The pharmaceutical industry, the music halls of the 1950s, the clubs frequented by the stars of swinging London, a semi-religious commune in the heart of Wiltshire and a little park in Chelsea with gravestones propped against its walls are just some places that have featured in my books so far. And each one of them has been included because something sparked the thought: I can use this! Chris Curran lives in St Leonards on Sea, East Sussex. Her first two psychological thrillers, Mindsight and Her Turn To Cry, were both Amazon bestsellers. 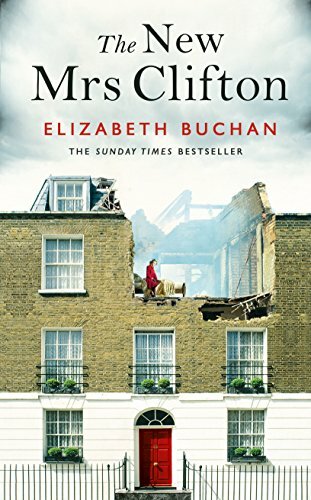 She also writes short stories one of which was recently shortlisted for the 2017 CWA Margery Allingham award. Her latest novel, Her Deadly Secret, is published as an eBook on July 21st 2017 and a paperback in August. Sadly no cute cat photos to lure you in this week as my time has been taken up by work and sleep with of course some obligatory reading squeezed into any spare time. My week started with my review of One Day in December by Shari Low, a very enjoyable story about four people and the events that changed everything in just 24 hours. My excerpt post came from My Last Confession by Helen FitzGerald which is about a Parole Officer and a murderer. 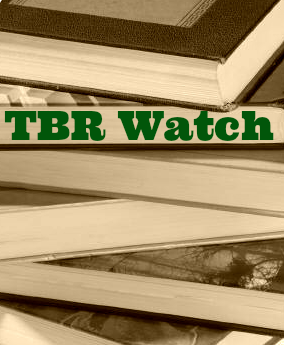 This Week in Books featured the authors Caimh O’Donnell, Susie Steiner and Chris Curran. On Thursday I reviewed the psychological thriller Lost in the Lake by A.J. Waines on its publication day. This compelling tale features some musicians, an accident, a psychotherapist and a lost memory. My review on Friday was for The Other Mrs Walker by Mary Paulson-Ellis, one of my holiday reads from back in June – I awarded this original story of the search for a dead woman’s identity, the full five stars. 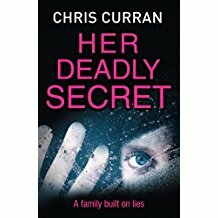 It was back to a psychological thriller for my final review of the week; Her Deadly Secret by Chris Curran, proved to be a five star read involving a missing child. I was reading The Trespasser by Tana French, the sixth in the Dublin Series by this oh so talented author. Each book in this series can be read as a standalone as unlike many crime fiction series there isn’t a single story arc, or indeed a chief protagonist. Instead one of the characters from earlier in the series may feature in a later book. The centre of the plot of The Trespasser is about the murder of Aislinn Murray a young woman, identikit to the numerous other women with straight blonde hair and a pout to match, who has had her head bashed in. There is no forced entry to the house and the table is set for two. All the detectives need to do is find the dinner date! Being on the Dublin Murder squad is nothing like Detective Antoinette Conway dreamed. Her working life is a stream of thankless cases and harassment. Antoinette is tough, but she’s getting close to the breaking point. The new case looks like a regular lovers’ quarrel gone bad. Aislinn Murray is blond, pretty and lying dead next to a table set for a romantic dinner. There’s nothing unusual about her – except that Antoinette has seen her somewhere before. And her death won’t stay neat. Other detectives want her to arrest Aislinn’s boyfriend, fast. There’s a shadowy figure at the end of Antoinette’s road. And everything they find out about Aislinn takes her further from the simple woman she seemed to be. 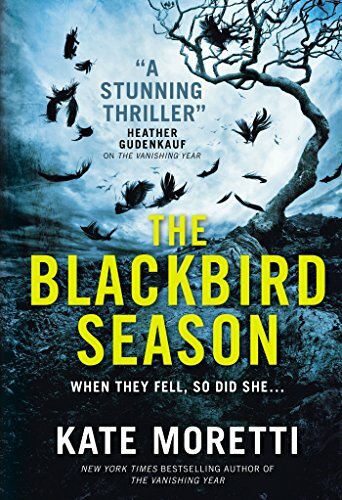 I was lucky to receive a copy of The Blackbird Season by Kate Moretti complete with black feathers that scared me half to death when I stuck my hand in the envelope! This book will be published on 26 September 2017. I was contacted by the author of a new crime fiction series and despite repeatedly reminding myself that I don’t need to add any more of these to the burgeoning pile, I couldn’t resist his kind offer as an ARC. 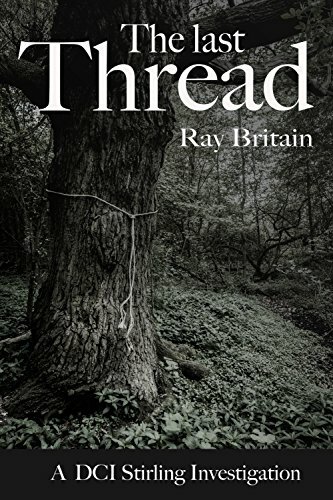 The Last Thread by Ray Britain will be published on 1 October 2017. 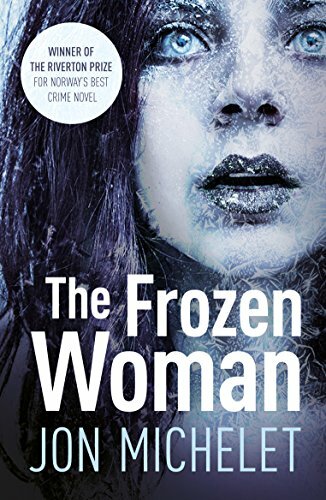 I was also the proud recipient of The Frozen Woman by Jon Michelet with the book named Norway’s Best Crime Novel which has been translated into English for the first time and will be published on 21 September 2017. What have you found to read this week? Any of these take your fancy? I am currently reading Angels in the Moonlight by Caimh McDonnell which is a prequel to A Man With One of Those Faces and The Day that Never Comes which was published on 26 August 2017. I recently finished Her Deadly Secret by Chris Curran which had something fresh to offer in the missing child scenario. 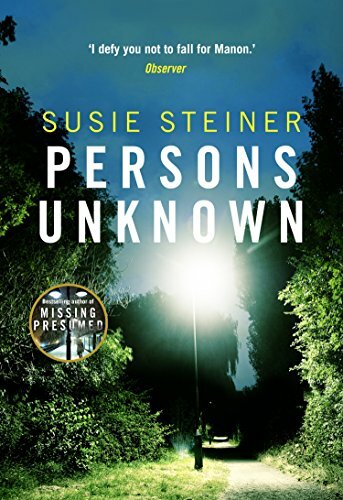 Next up I will be reading Persons Unknown by Susie Steiner, the following up to Missing, Presumed, both featuring Manon Bradshaw. What do you think? Any of these take your fancy? Please do leave your thoughts in the comments box below. 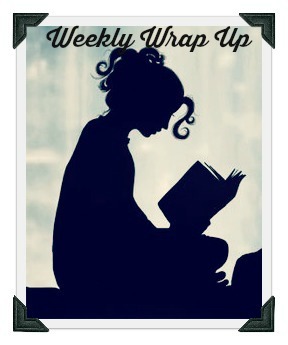 Well the last time I posted a weekly wrap up was 11 June 2017 and I want to thank all of you for bearing with you through my erratic posting. The brief story is that I went on holiday to Kos where I planned a funeral for Mum, we returned to Jersey following the funeral in the UK. Meanwhile my partner’s father was admitted to hospital in Spain where he lives and subsequently intensive care so I ended up making an unscheduled dash there; happily he is very slowly recovering and I am now home again. My sunflower went to stay with my daughter & son-in-law in their new home, she moved out of our home the weekend before we departed for Kos and once more I have an empty nest! What we hadn’t considered that it would grow so much that we couldn’t get it in the car to bring it home so I now have visiting rights. 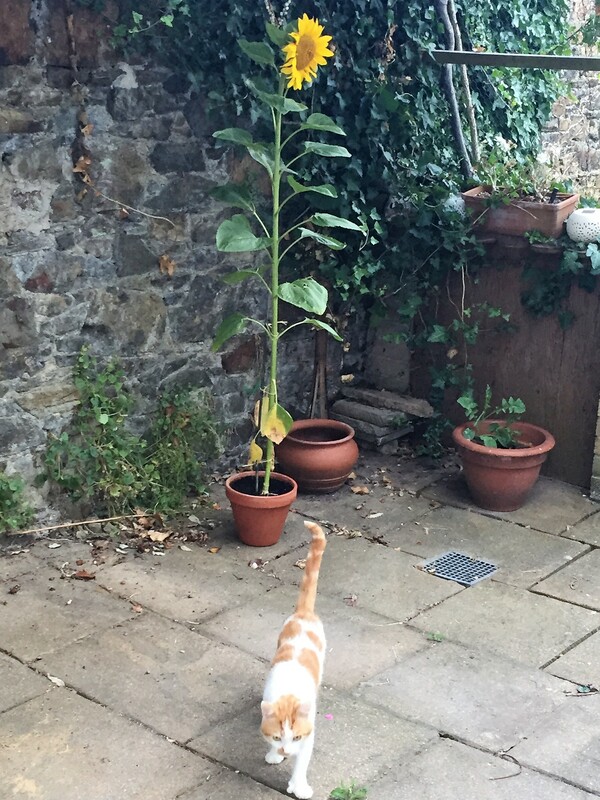 The new home has a new addition to the family, Bertie the rescue cat who can be seen here with my fabulous sunflower! Wednesday featured an author post by Chris Curran entitled Ideas and Where They Come From. 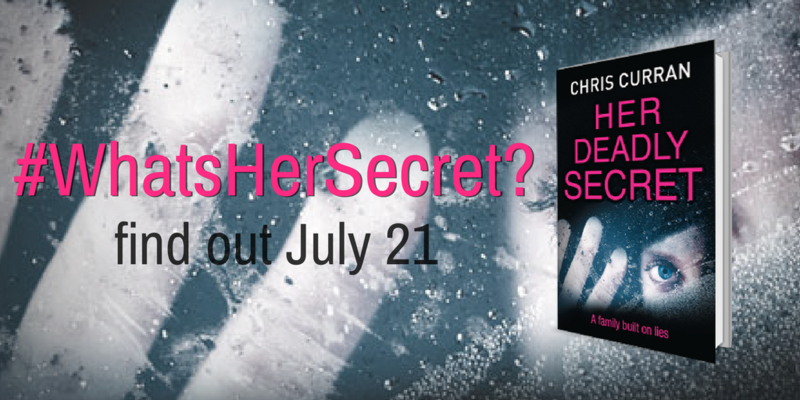 Chris Curran’s latest book Her Deadly Secret was published on 21 July 2017. I was reading Pretty Jane and the Viper of Kidbrooke Lane by Paul Thomas Murphy a non-fiction book about the historical true crime committed against Jane Coulson in 1871 in Greenwich, London. The author’s expert research uncovers not only the details of the crime but that of the subsequent trial including contemporary news reports. With a conclusion that you may or may not agree with this book paints a vivid picture of the life and times of victim and perpetrator. In April 1871, a constable walking a beat near Greenwich found a girl dying in the mud – her face cruelly slashed and her brains protruding from her skull. The girl was Maria Jane Clouson, a maid for the respectable Pook family, and who was pregnant at the time of her death. When the blood-spattered clothes of the 20-year-old Edmund Pook, alleged father of the dead girl’s unborn child, were discovered, the matter seemed open and shut. Yet there followed a remarkable legal odyssey full of unexpected twists as the police struggled to build a case. So despite not being at home very much at all some books have still managed to find there way into my house – I am sharing a small selection here! 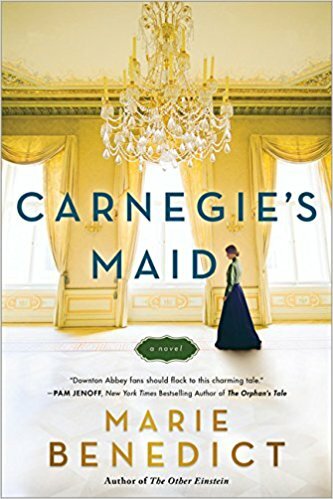 From NetGalley I was lucky enough to be approved for Carnegie’s Maid by Marie Benedict which will be published in January 2018. 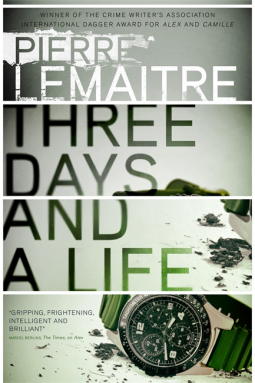 I also was delighted with my copy of Three Days and a Life by Pierre Lemaitre after being blown away by Blood Wedding which I read last year. Three Days and a Life was published on 13 July 2017. In 1999, in the small provincial town of Beauval, France, twelve-year-old Antoine Courtin accidentally kills a young neighbour boy in the woods near his home. 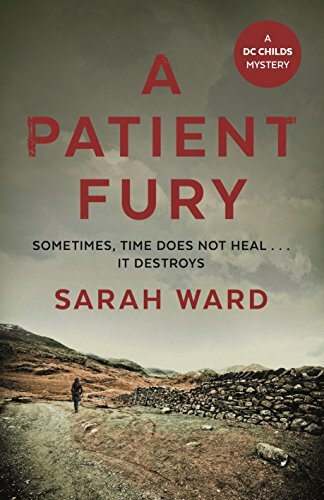 Panicked, he conceals the body and to his relief–and ongoing shame–he is never suspected of any connection to the child’s disappearance. 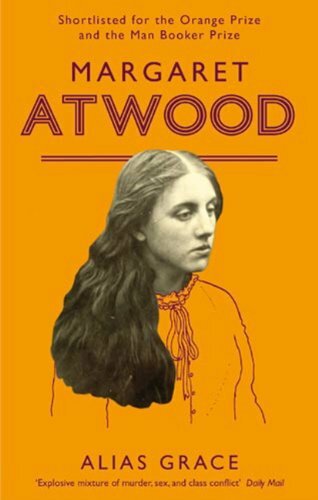 I received a copy of Alias Grace by Margaret Atwood earlier this month for my birthday – the present giver cleverly knowing that I haven’t ever got around to reading this book since publication in 2009. As this is going to be a Netflix series soon I can now avoid the shame of confessing I haven’t read it every time someone asks! 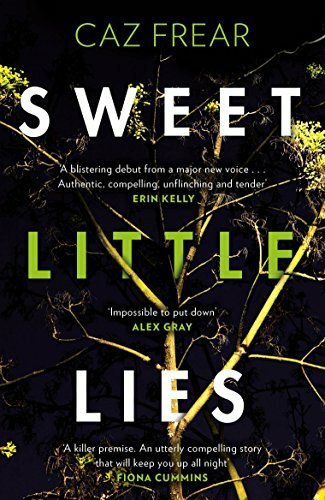 I was thrilled to receive a copy of the winner of Richard and Judy’s Search for a Bestseller launched by Bonnier Zaffre – Sweet Little Lies by Caz Frear was published on 29 June 2017. 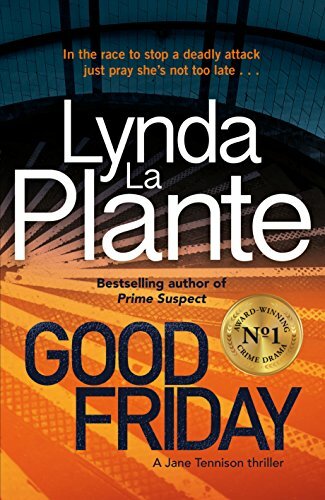 And most recently I received a copy of Good Friday by Lynda La Plante which is the third book in the Tennison series, the first having recently shown on TV under the name Prime Suspect which I thoroughly enjoyed. Good Friday will be published on 24 August 2017. Kate Colquhoun – Did She Kill Him? Sophie Hannah – Did You See Melody?